Columbia, MD, March 21, 2019 – DP Solutions announced today that it has attained Microsoft Gold status with a Cloud Platform competency, joining an elite tier of Microsoft partners. This distinction highlights DP Solutions commitment to delivering quality solutions to meet clients’ needs and providing ongoing education to its staff. To earn this competency, DP Solutions had to prove its expertise in delivering quality cloud-based solutions by demonstrating its ability to meet performance goals, train individuals, and put product knowledge to use. The Cloud Platform competency is designed to help Microsoft partners support the growing demand for infrastructure and software as a service (SaaS) solutions built on Microsoft Azure. With the Cloud Platform competency, DP Solutions can help customers modernize their infrastructure, migrate applications and data to the cloud, and build analytics solutions on data platforms in the cloud. The company can also deliver services and build products using SaaS and PaaS solutions available on Azure Marketplace. In addition, Cloud Platform competency enables DP Solutions to manage clients’ infrastructure and offer differentiated managed services to customers. 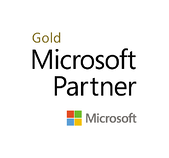 As a Microsoft Gold Partner, DP Solutions receives a deep set of resources and benefits that allow the company to bring outstanding, next-level service and comprehensive support to its clients. In addition to Gold Cloud Platform, DP Solutions also maintains Microsoft Silver-level competencies in Small and Midmarket Cloud Solutions, Application Integration and Datacenter. DP Solutions is an award-winning Managed Services Provider (MSP) serving the Mid-Atlantic. We function as a true partner to support Clients’ long-term initiatives with a breadth of technology expertise including managed IT services, managed cloud solutions, backup and disaster recovery, security and compliance consulting, project services, and a 24x7 Service Desk, which is locally staffed by highly qualified technical support staff. We provide the benefits of a fully staffed IT department for businesses that don’t have internal IT staff, or for those looking to augment existing IT staff. In teaming with DP Solutions, we become an extension of your organization. To learn more, visit www.dpsolutions.com.